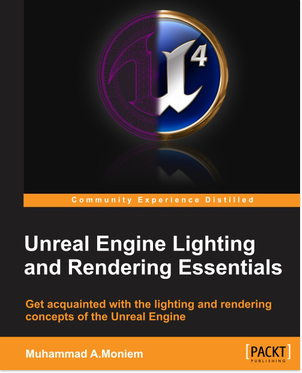 I’ve been working on my second Unreal Engine book, which titled “Unreal Engine Lighting and Rendering Essentials“. My role is done, I’ve finished the book and revised it several times (LOTS of times), and now it is between the great hands of the people who take care of making it pretty and touchable on papers. The book is scheduled to be released between the end of Aug.2015 and mid Sept.2015..So I’ll post once it is out.